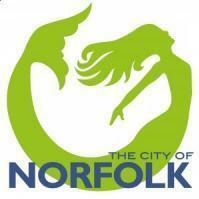 Cooper Realty of Norfolk plans to build a $30 million office and retail complex in one of the city's most popular and historic neighborhoods, officials announced Friday. The project will be developed on a 5-acre parcel at the west end of 21st Street in Ghent, Mayor Paul Fraim said during his State of the City address. The project, to be called Ghent Station, will be anchored by a five-story office building and will have three one-story buildings of retail space, all built around a public promenade. I've been waiting for this thing to get announced. I knew of another development team making a proposal on the project over a year ago. I think there's a lot of growth potential in Ghent around 21st St and down Colley toward ODU. This is really a poorly orchestrated development that looks to be setting itself up for a massive failure. Apparently the city and the developer forgot about what's in the area and the existing traffc in designing this one. I might be wrong, but is there that much demand for Class A office space in Ghent? Downtown sure, but what national chains and firms have the need for rent that high? This location is off the beaten path on 21st St, with a horrendous traffic pattern (veer left to go to a stoplight or straight to go right, no turn on right here, stay to the left to go straight, etc.) Addiionally, projecting $8.3 million a year in retail sales? Laughable. Traffic on 21st ends at Walgreens, and unless they bring legitimate retail brands or business to this complex (not likely with only 30K sq feet) there's not much reason to visit this development. I could be wrong and they could find a great retail anchor to make this project fantastic, but i'm not holding my breath. Out of three proposals, sure this one may have looking great on paper, but in reality it's chances for success look to be diminished. Just curious where on 21st St. is this development going to be built? Is it near the Walgreens which if I remember is at Colley and 21st. I think this development is a welcome shot in the arm for Ghent and could in time really change the character of west Ghent for the better. I think that most of the office space will be medical in nature just like the article said. Now the retail parcels will most likely become eating establishments. I'm sure that the development company has a few tentants under their hat! To be honest, this is not a large project. I really don't foresee them having that much trouble filling space. The retail may not turn out to be spectacular, but all in all I believe this will be a net positive for the area. I think it will be a positive addition to the area west of Colley Ave. It would bring more retail/offices down there and maybe it would continue all the way to Hampton Blvd one day. It would be great if the entire corridor from Hampton Blvd to Monticello is robust with offices, retail and residential. I remember reading years ago that when Walgreens wanted to build, some in Ghent didn't want another pharmacy on the strip...but the city officials approved it because they hoped it would spur alot more development west of Colley Ave but it didn't happen the way they wanted it to. If this is built near the Walgreens, maybe this could help...as long as it blends in with Ghent and doesn't look out of place like the apartments on Granby street. Drive down 21st and its before you get to tap house and hampton blvd. Right before that Y intersection. There's not much of anything there right now, so its a good addition. I still think there's great potential along 21st, more so than what is currently there. Here is another image from the Pilot. I do agree that it'll be a shot in the arm for that end of Colley Ave, i just think it's a little pie-in-the-sky, especially the projections. Class B office space would be better suited in this area (it's closer to Tap House than Walgreens) not Class A, and retail....well, we'll see. But originally this project was rumored to have residential included (or one of the bids did). If it had included apartments or condos, it could work better. Any development past Walgreens is going to be better than what's existing currently, just seems to be the wrong spot. We'll see in two or three years i suppose. I like the Ghent Station development for its small scale appeal. I think this type of development should be replicated all over Norfolk (Wards Corner, Military Highway, Five Points etc.). From Pilot: "The development is projected to produce $640,000 in annual tax revenue and create 350 permanent jobs." Have they lost their minds? Creating jobs? We don't want no jobs. We don't want income for the city. We want vacant parking lots. We want places for vagrants to hang out. What a terrible project. This project isn't replacing a vacant parking lot, the same way it's not going to generate $8.3 million in retail sales in its location. My argument against the project is that it's not the best location, it's awful traffic patterned area and I don't believe there's that much demand for class A office space in Ghent. But, so long as taxpayer dollars aren't paying for it, any project on 21st near Hampton will bring some much needed revitalization. It's just my opinion that this project would be better served on the other end of 21st. I think you may be surprised by this project. I travel that area everytime I have to go to class at ODU and it is a very high traffic area. It has high visibility and I believe it's proximity to Ghent and ODU will make it desireable. Btw, It does take up a portion of a large surface lot too, so Sky is partially right. I don't believe there's that much demand for class A office space in Ghent. 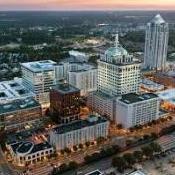 Have you tried to lease any new construction Class A space outside of downtown, but still in Norfolk? Especially if you need more than 5,000 contigious square feet? I think you might be surprised at the shortage of supply. This is in a great location, precisely because you don't have to slog through Ghent to get to Hampton Blvd. I don't think they will have any problem leasing it. It says the same thing for the Westin and I'm starting to wonder if I jumped the gun on my excitement for that. Them saying "under construction" may just be a selling technique as they have multiple projects which state this that aren't. You could be on to something vdogg. The only reason I'm optimistic is because the Westin is supposed to start this fall, and summer is practically over, so maybe something is up with Ghent Station as well.. Who knows. Unfortunately, this project has been canceled.